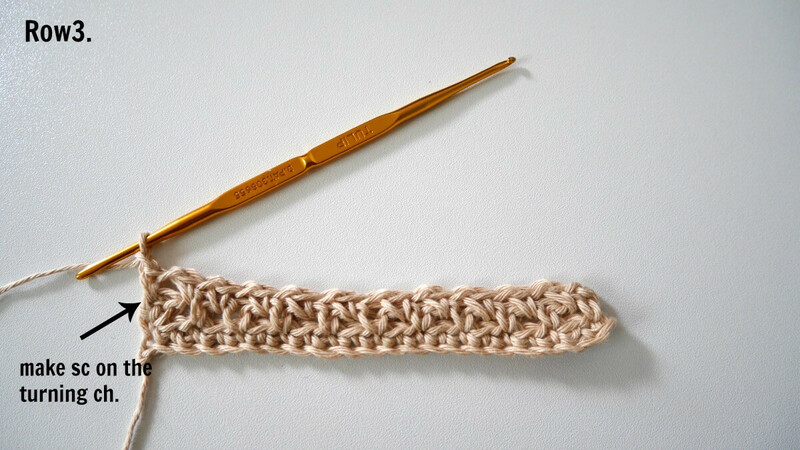 Moss crochet stitch are one of beginner friendly stitch. 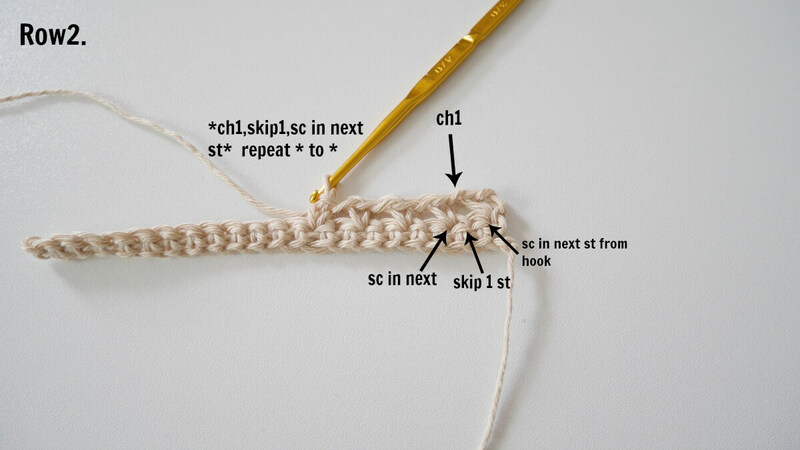 That I love, because they are just single crochet, chain, skip 1 stitch and single crochet. Yep that how easy they are, and they give the good texture will make the garment not too dent and turn them to be soft and squishy. 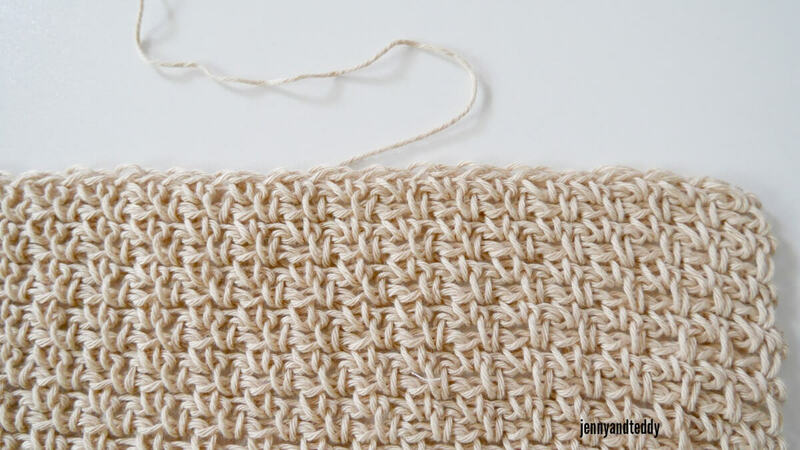 I have use this moss crochet stitch in men scarf and hood pocket scarf too! How cool is that? 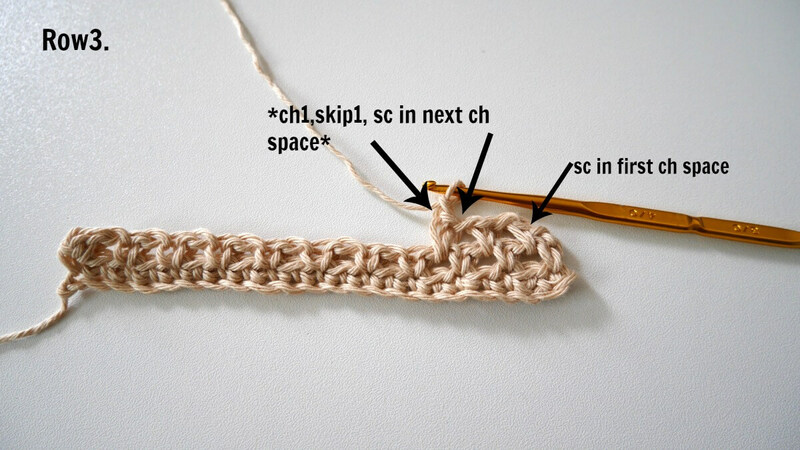 So, They are made up from mostly single crochet and chain. The chain will be even number for the foundation. In this small sample I start with chain 22. 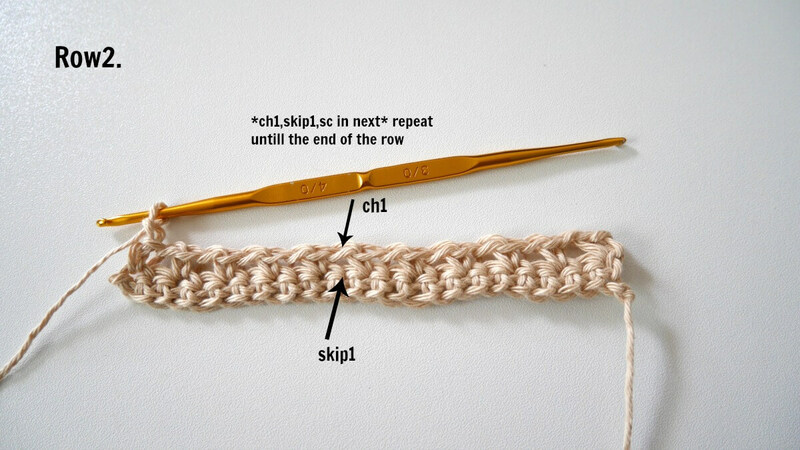 Row4: Repeat row 3 until you has reached the desired length. That’s all. 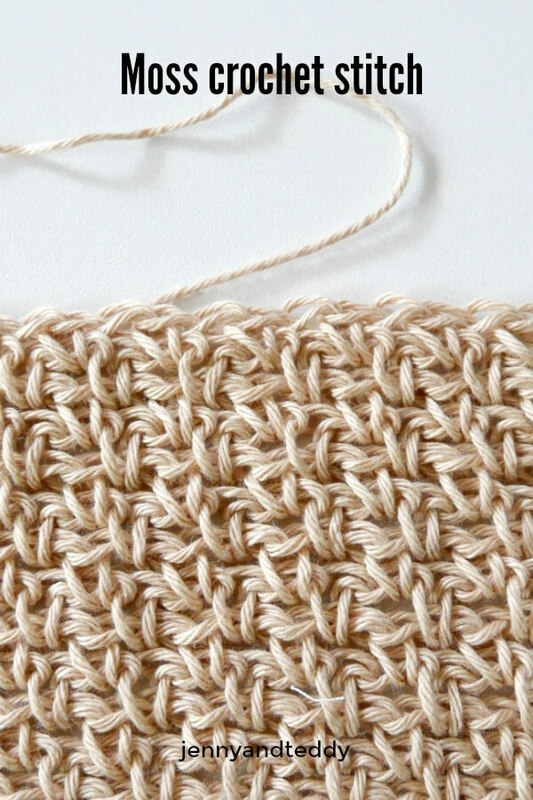 Hope you enjoy moss stitch tutorial. Awwww you are so sweet!!!!! U just made my day!! Xandra.